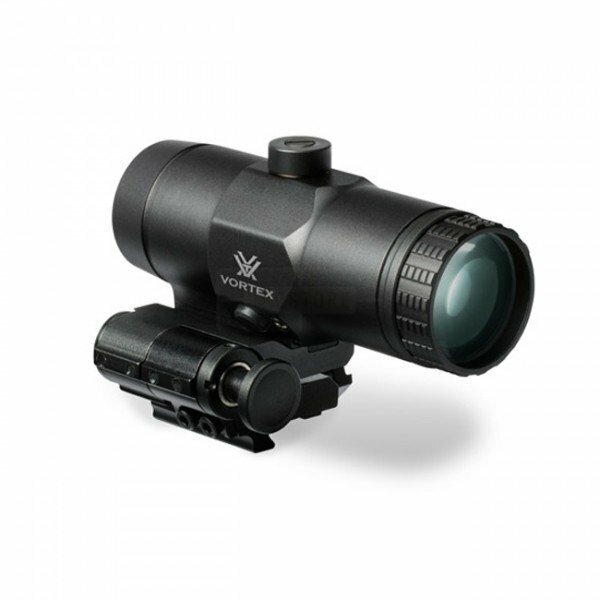 Simple, fast, effective - the push-button design of the VMX-3T engages and disengages the flip-mount, allowing the magnifier to lock in place. The result, 3x magnified or unmagnified views at will. Optics are fully multi-coated for optimal light transmission. Lightweight and tough; hard-coat-anodized machined-aluminum construction ensures durability. Internally nitrogen purged for reliable waterproof/fogproof performance. Ideal for shooters who want to increase the effective range of their red dot sight. 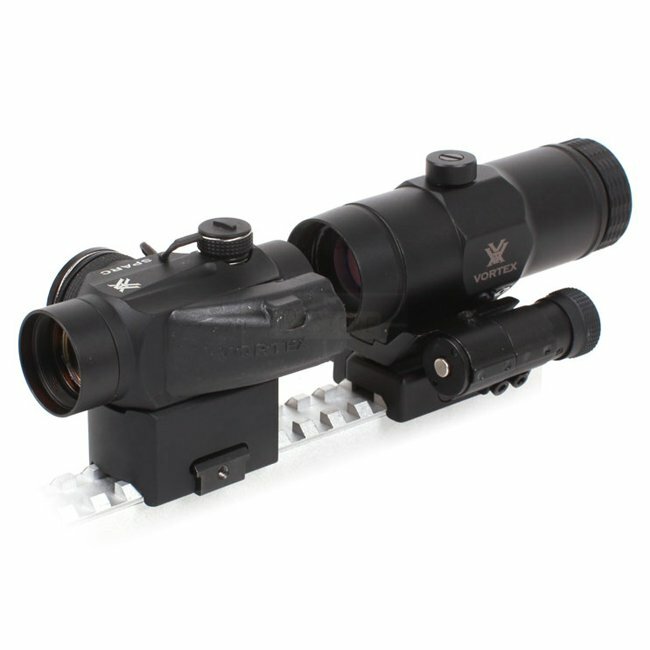 Compatible with EoTech aiming devices (512, 552 etc. ), Vortex SPARC and StrikeFire (with High Mount installed)and Aimpoint M4 / M4S / Aimpoint PRO.